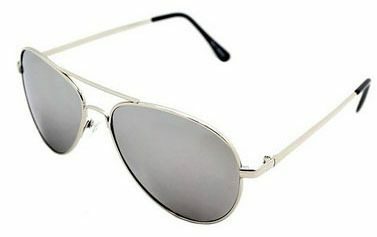 Retro Aviator Mirror Sunglasses Only $4.78 + FREE Shipping! You are here: Home / Great Deals / Amazon Deals / Retro Aviator Mirror Sunglasses Only $4.78 + FREE Shipping! Need a new pair of sunglasses or looking for a spare pair? Check out this fantastic deal – get these fabulous Retro Aviator Mirror Sunglasses for just $4.78! And, shipping is FREE! I LOVE these sunglasses! I’m totally into this style and, since these retail for $30, you’re getting a HOT deal!